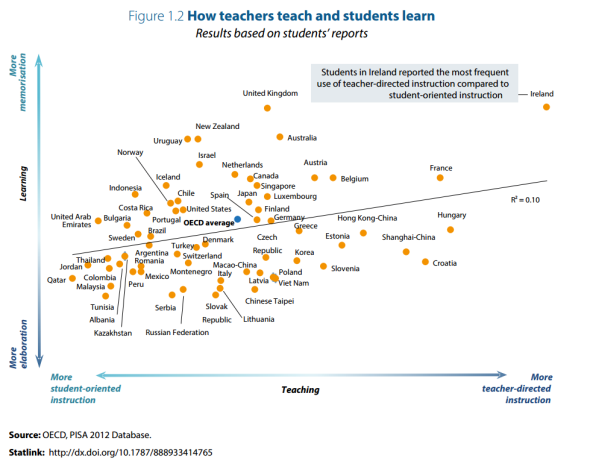 Interesting take on this PISA-report, looking forward to some responses of the PISA-community! It is from the new PISA report, “Ten questions for mathematics teachers… and how PISA can help answer them.” It is an interesting report containing links to the data set. The first thing that strikes me about the graph is that it says very little. 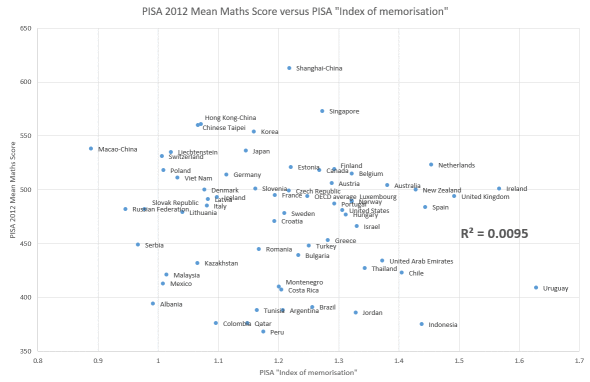 There is not much correlation between the two measures and neither of them is a measure of maths performance. So what are we meant to conclude?